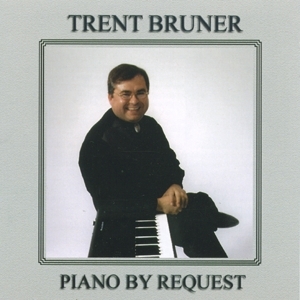 At present, Trent has released one solo album: Trent Bruner - "Piano by Request". The CD is available for $20 CAD in our web shop. After appearing as an accompanist on many albums and doing the occasional piano solo on other albums, Trent Bruner - Piano by Request is the first album where he is the featured artist. Thanks to your many requests, he recorded the occasional tune when moments allowed to record two or three pieces at a time until the album was complete. Some pieces are solos he has performed on the fiddle circuit in North America and Europe, while others go back to the times of piano lessons in Canwood, Saskatchewan and his music studies at the University of Saskatchewan in Saskatoon, Saskatchewan.